In this guide we'll show you how to use Programmable Voice to create and manage conference calls with your Ruby web application. We'll also cover how to monitor your conference and its participants during the call. 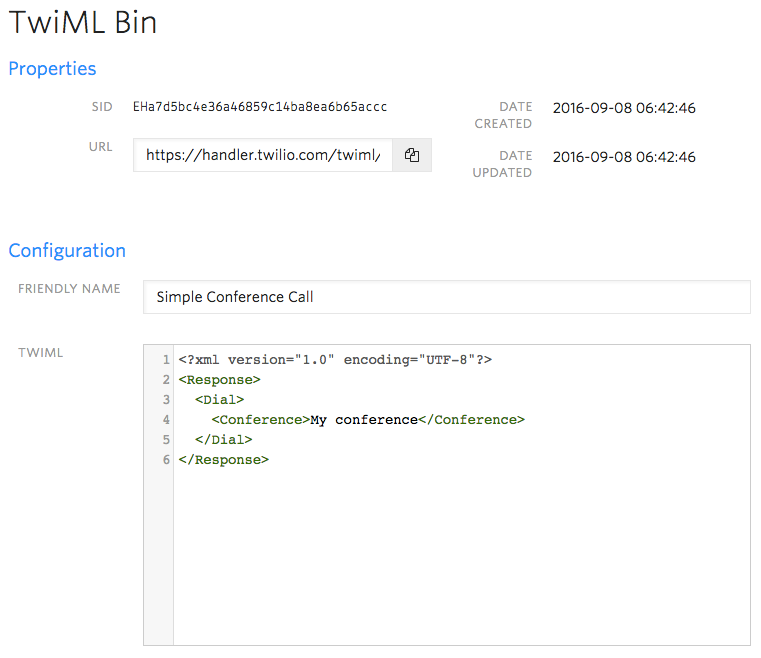 A handy tool we provide to host static TwiML from the Twilio Console is called TwiML Bin. Click "Save" and your TwiML Bin is ready to use with any of your Twilio phone numbers. With our TwiML created and placed in a TwiMLBin, let's configure a phone number with it. Now give your number a call. You'll hear hold music when you first join — call in from another phone number and the conference call will begin. TwiML Bins are great for setting up simple conference call lines, but with the power of Ruby we can do a lot more. Let's see how. 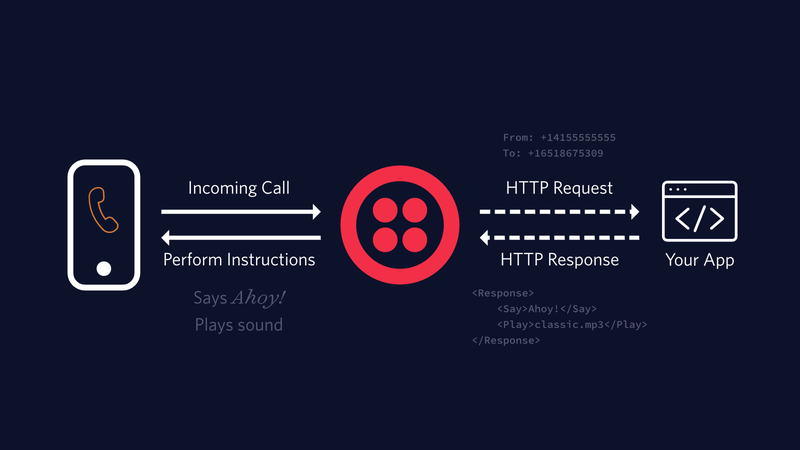 Now comes the fun part - writing code that will handle an incoming HTTP request from Twilio! In this example we'll use the Sinatra web framework to respond to Twilio's request and we'll use the Twilio Ruby gem to generate our TwiML. We use the "From" argument on Twilio's webhook request to identify whether the current caller should be the moderator or just a regular participant. You're now ready to host dynamic conference calls with your Sinatra app. Grab some friends and give it a try!